How should you evaluate your fund’s performance before investing? Investors do not delve too much into the fund history as many a times they do not know how to evaluate the past performance. Many first-time investors do not get into a detailed study of the fund they intend to invest in. This may turn out to be a big mistake for them. Investors do not delve too much into the fund history as many a times they do not know how to evaluate the past performance. Here are few simple guidelines/terms which will help you in determining the performance of the funds you have invested in or wish to invest in the future. One of the important indicators is to evaluate the risk adjusted return associated with an investment. This is a measure to identify how much return an investment will generate at the given level of risk associated with it. An investor should compare two investments which have given the same return over a given period of time, and the investment which has the lowest risk will have a better risk-adjusted return. 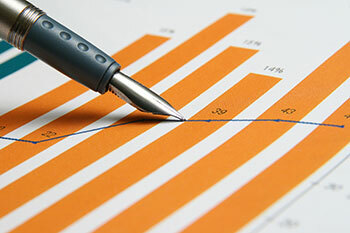 A fund’s short-term performance is influenced by the performance of some sectors. Hence, an investor should keenly understand the rolling returns of a fund, which are returns generated by the fund over a period of time. Benchmark is comparing your fund’s performance with other similar entities - widely known as corresponding index. This will help you to compare and contrast how the overall asset class is performing against its benchmark index. The performance of a fund during a period when market was volatile is a crucial assessment of the fund. This will help you to gaude whether a fund can sustain its position during a volatile market. Before investing in a particular fund, check the quality of stocks in the fund’s portfolio. This is a time-consuming exercise, but it is beneficial for your investment. Good quality stocks will help you generate returns, thereby improving the overall performance of the fund and vice-versa. It is very important to check how the Mutual Fund is performing as compared to other funds in the same category. It is advisable to invest in a fund which gives better returns when compared to its peers. A Fund Manager is the person who makes investment decisions and selects the stocks in your portfolio. Hence, it is very important for a fund manager to have a good track record when it comes to stock selection. Always check the track record of the fund manager in terms of return generated by his funds before investing in a Mutual Fund.